Armin van Buuren & Shapov’s Trilogy! After the crowd’s massive response to their two previous collaborations, Armin van Buuren and Shapov have unleashed their third joint offering after ‘The Last Dancer’ and ‘Our Origin’: ‘La Résistance De L’Amour’. Armin van Buuren and Shapov’s three-track ‘Trilogy’ pack is essential for any dance music fan. From the inaugural ‘The Last Dancer’ to Tomorrowland tastemaker ‘Our Origin’ and the before-mentioned new addition, this triple-threat release will have fans pumping their fists in the air from the early evening to the first morning light. MaRLo & HALIENE’s emotion-laden ‘Whisper’. Combining the most unmistakable voice in EDM today with MaRLo's sound, HALIENE has quickly risen to the top with this vocal gem. GO Live 2.0 & KEY4050 to join Transmission lineup. System F announced for Transmission 2019! Armin van Buuren scores in Tomorrowland Top1000! 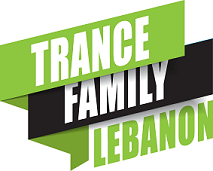 Trance Family Lebanon 2019 Copyrights, All rights reserved.